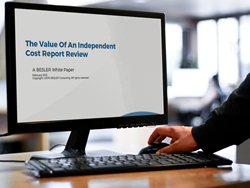 Having an expert review your cost report can identify missed revenue opportunities and uncover errors prior to submission. The Medicare cost report continues to play a critical role in the determination of Medicare reimbursement to hospitals and health systems. With the appropriate understanding and review, this report can assist management in future budgeting, decision support and strategic planning.